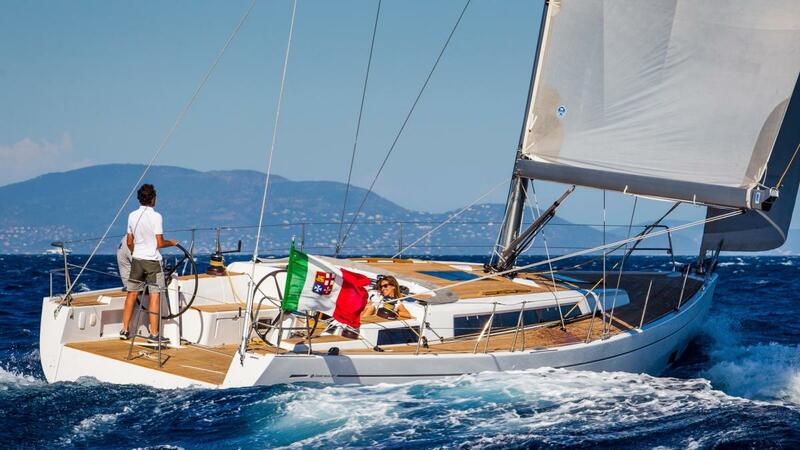 Pure Italian style and performance sailing. 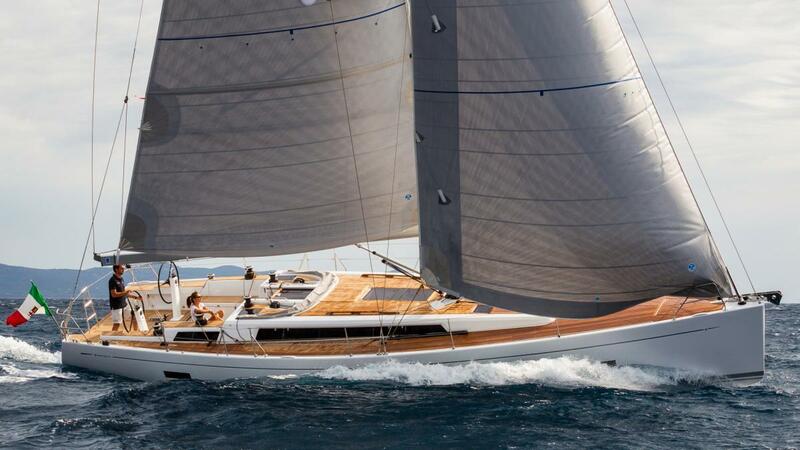 Great personality, characterized by power and sophistication - boat builder Cantiere del Pardo has done it again with the Grand Soliel 47. 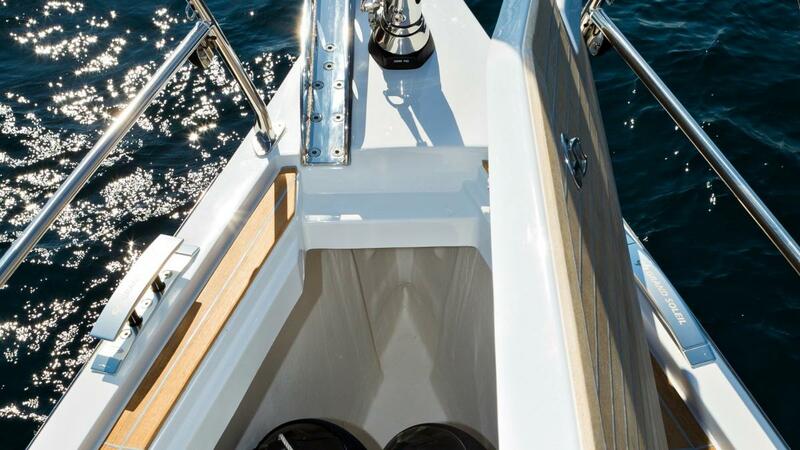 Faithful to this principle and optimum sailing, waterlines come from the most advanced research in the field from America's Cup Designer Marcelino Botin. 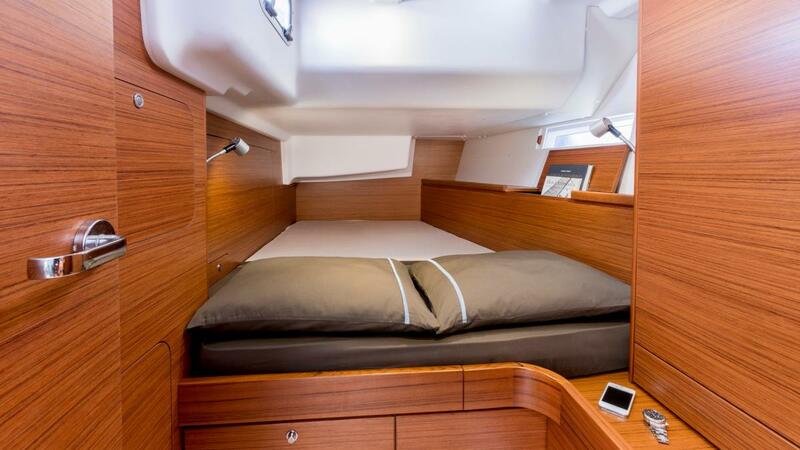 The GS 47 is the perfect solution for owners looking for performance and refined styling. 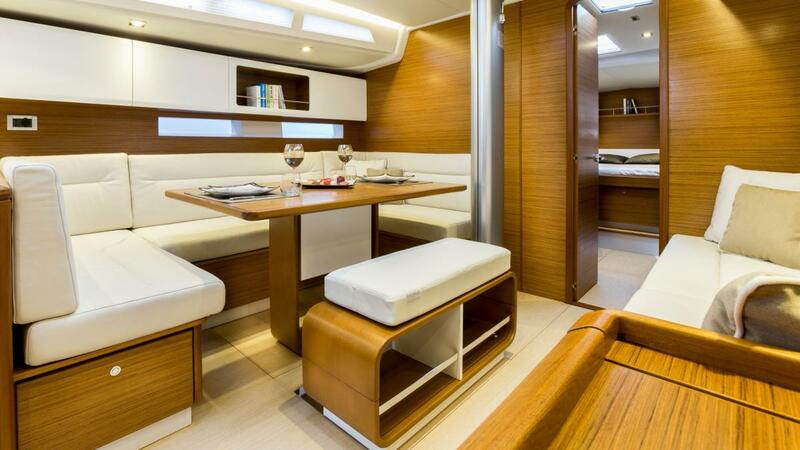 The Grand Soliel 47 is designed for the pure pleasure of sailing thanks to a completely uncluttered layout. 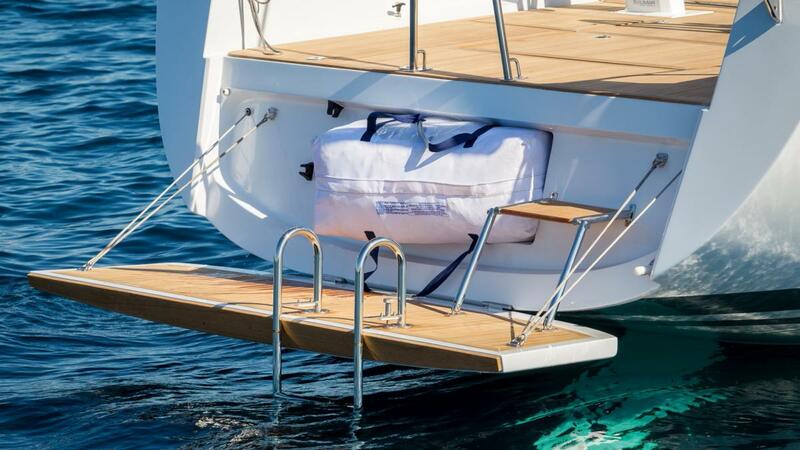 Large sun lounging areas, an opening bathing platform for easy access to the sea or smaller boats, outboard chain plates and under deck lines allow quick easy movement with all trip hazards completely eliminated on board. 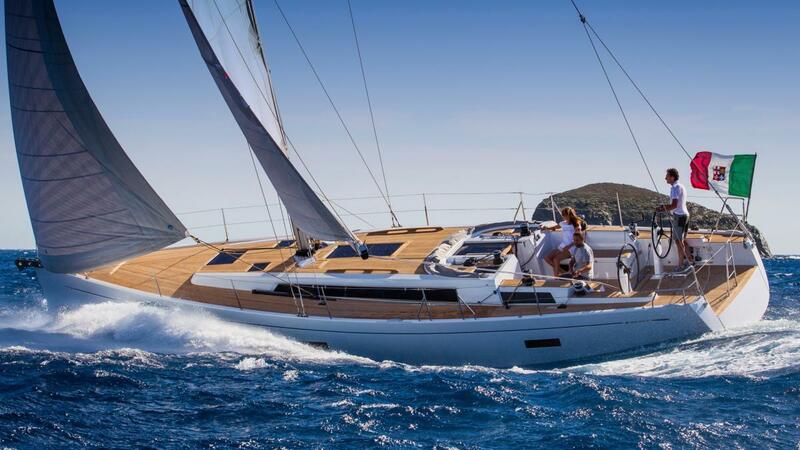 The German mainsheet system and the non-overlapping jib ensure easy control for short-handed sailing. 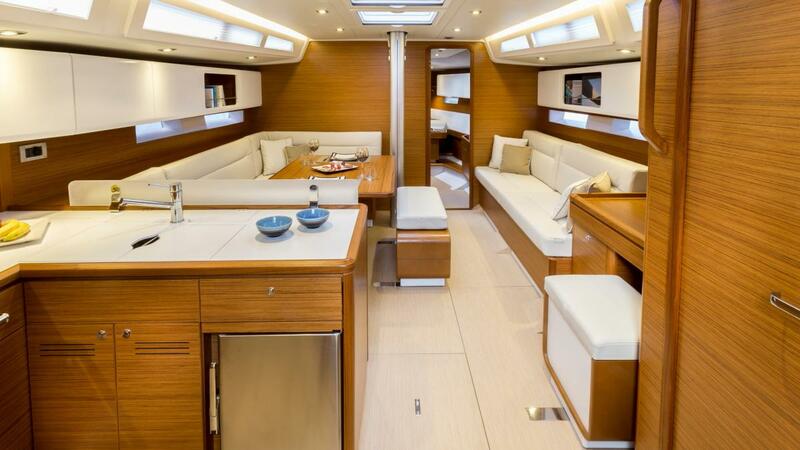 Fresh style dominates below deck with natural light and solid wood elements complimenting white surfaces for a feel of luxury in your living space. 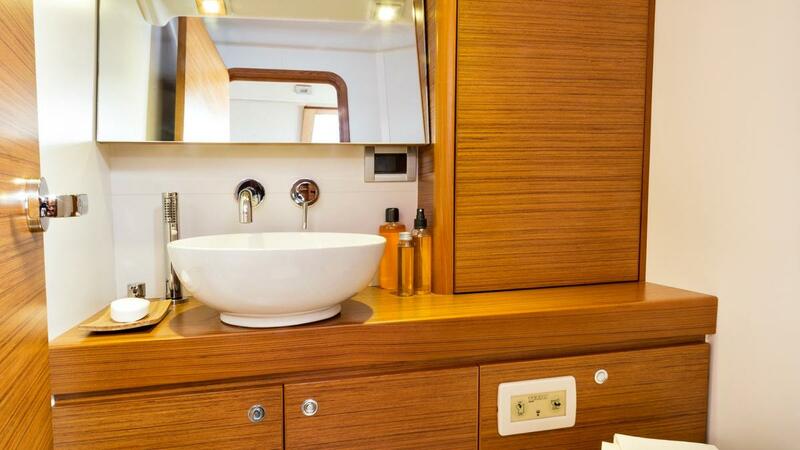 The standard interior layout offers practicality with an L shaped galley, three cabins and two heads. 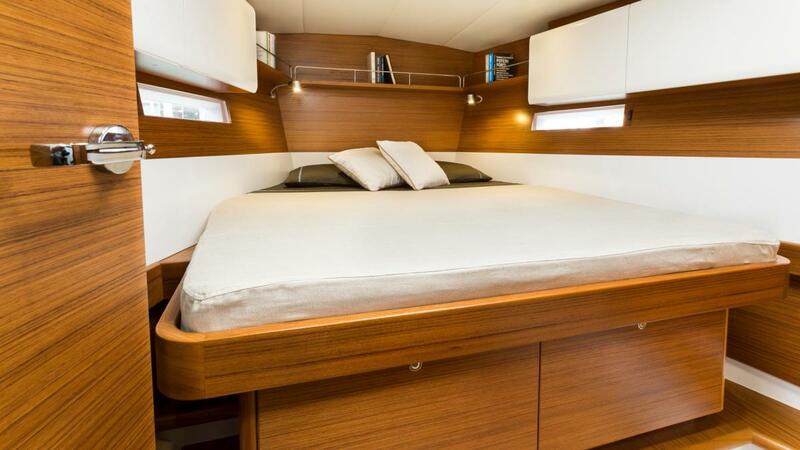 An abundance of storage space and a large navigation table for full size charts represent the considerable attention to detail for extended cruising. 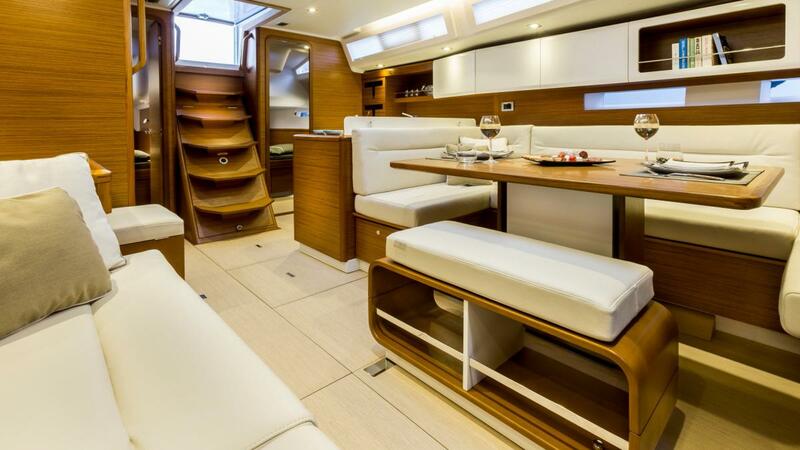 The hull and deck are built in sandwich construction. 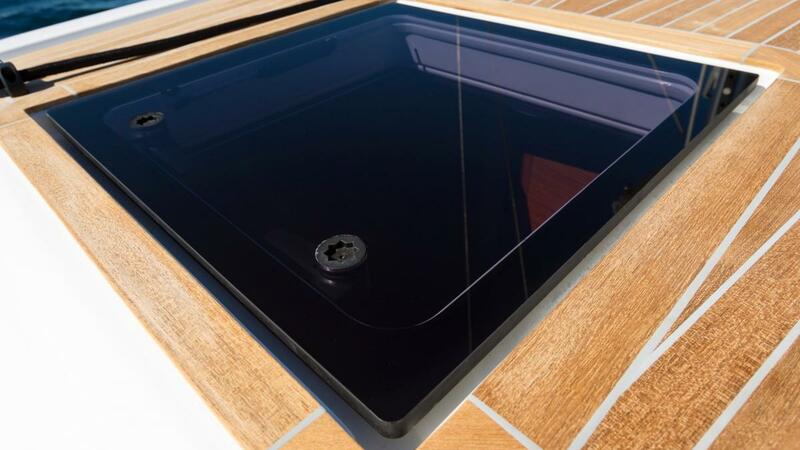 The hull is laminated by vacuum-bag infusion and the internal grid pan is made of carbon and glass fibre providing a lightweight, stiff and longer lasting performance cruiser. 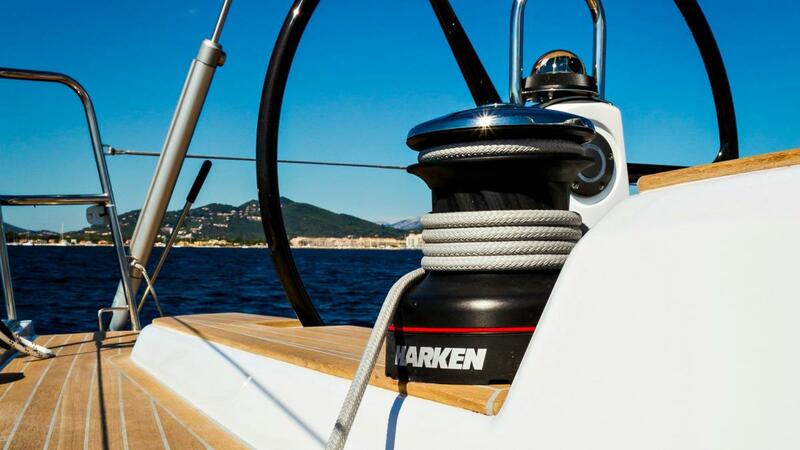 The efficient torpedo shaped keel, which lowers the centre of gravity, ensures maximum safety and comfort when cruising and excellent performance around the racecourse. 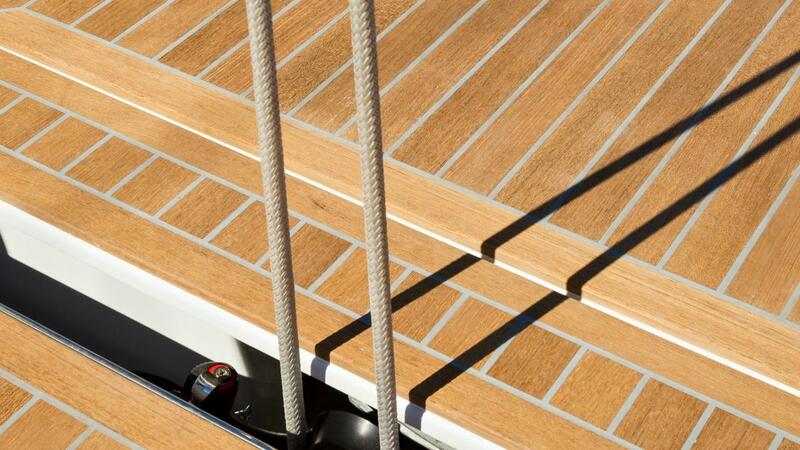 The hull shape is streamlined and features contemporary details that represent the Grand Soliel range and signature design.